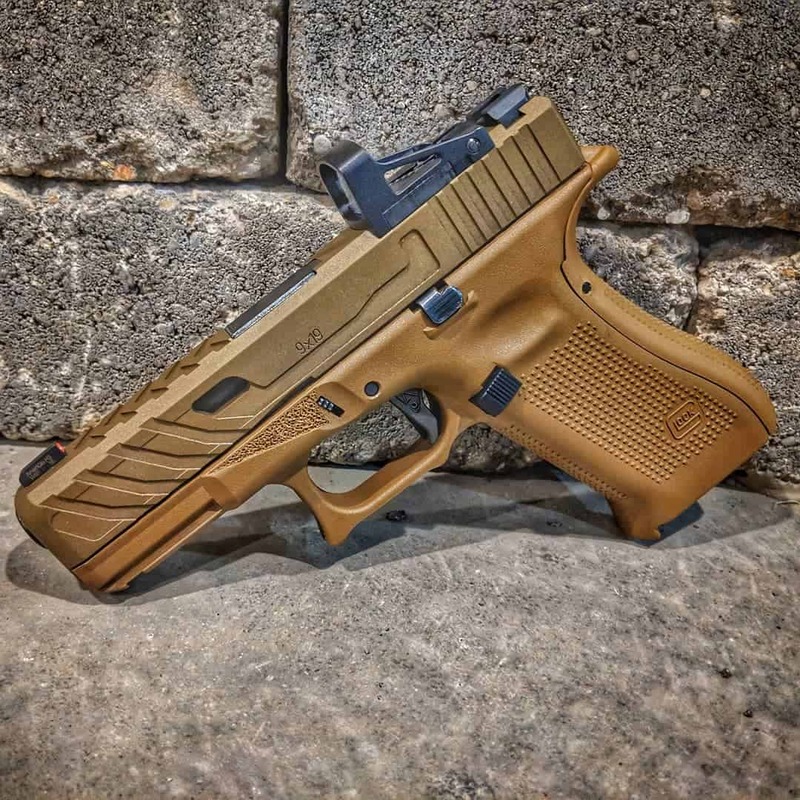 This SERVICE will transform your Glock 19x both in feel and function. Our slide cuts are designed for function over aesthetics. The steel removed compensates for the added optic and ensures the slide stays strong for a long service life. 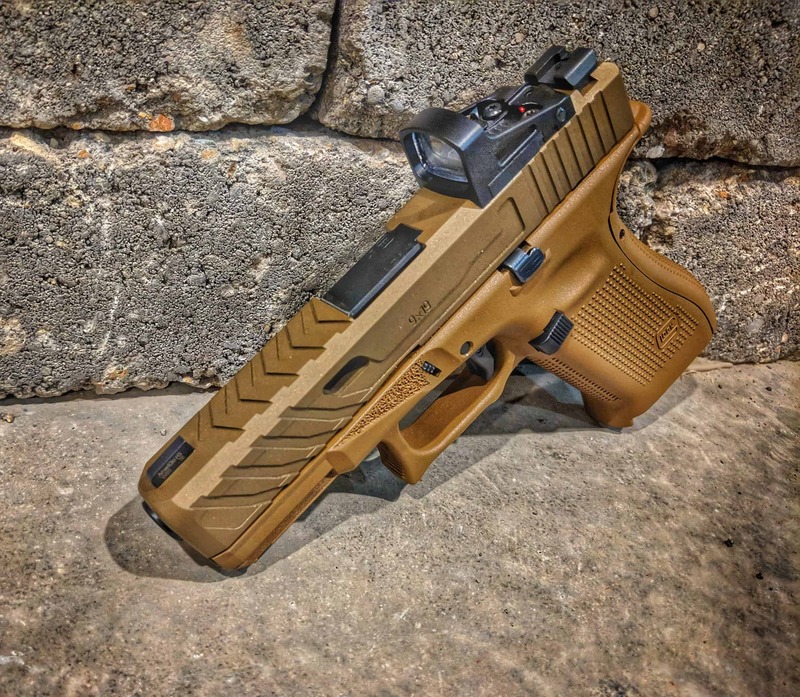 We then cerakote the slide in a propriety mix that closely mimics the factory Glock 19x finish. Choose from RMR or Shield RMS cuts (both include internal posts for strength). The grip work includes a thumb rest and smooth, double undercut trigger guard. We top it all off with a deep barrel crown and polish. This ensures maximum accuracy. Check the box if you are sending in your optic. We will mount and zero it if provided. Lead time is 5 days from receipt of the firearm.